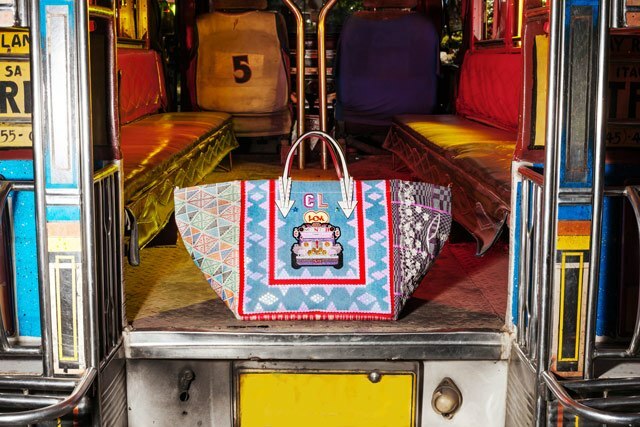 The Manilacaba totes celebrate the city’s passionate lifestyle. 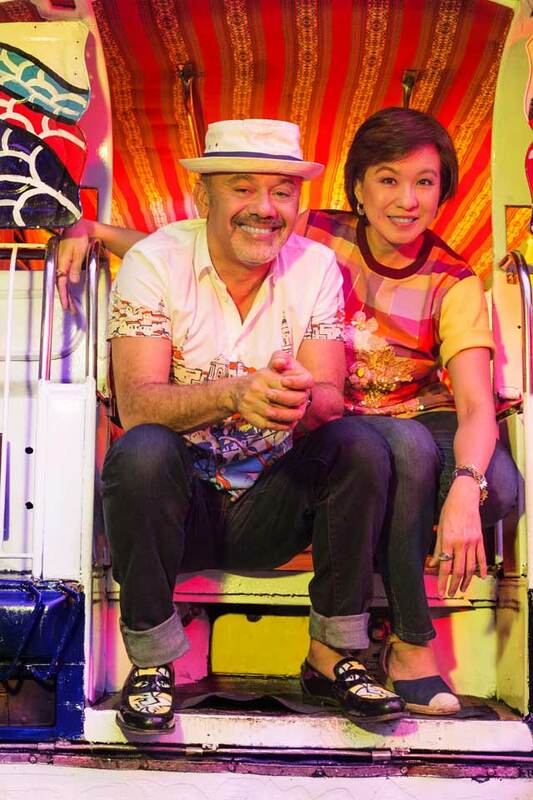 After his colorful adventures in Africa and Central America, which gave birth to the Africaba and the Mexicaba, Christian Louboutin brings back his cherished Treasure Cabas with the Philippines front and center. 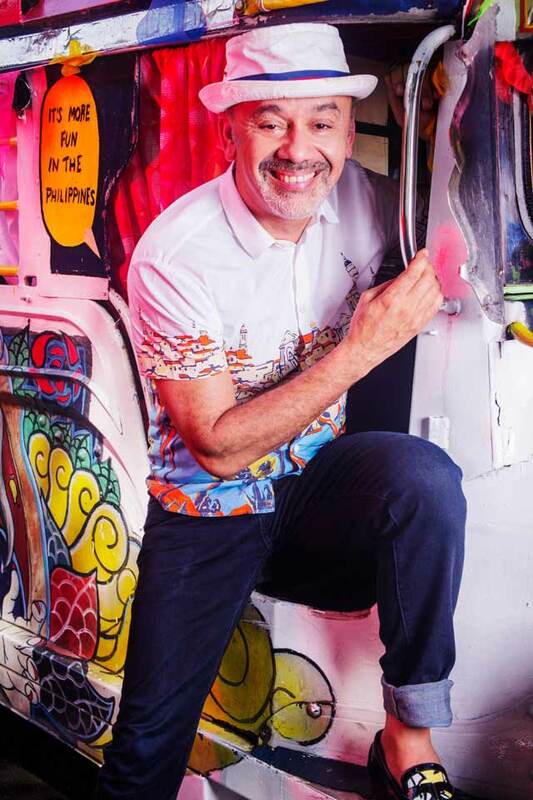 The world-famous designer known for his red-lacquered soles was inspired by our country’s diverse cultures and traditions, bringing forth the Manilacaba, a limited edition tote bag that comes in two versions: denim blue and black satin. “I have always been captivated by the Philippines’ beauty: the perfect combination of sparkles, Mother-of-Pearl, and shells. 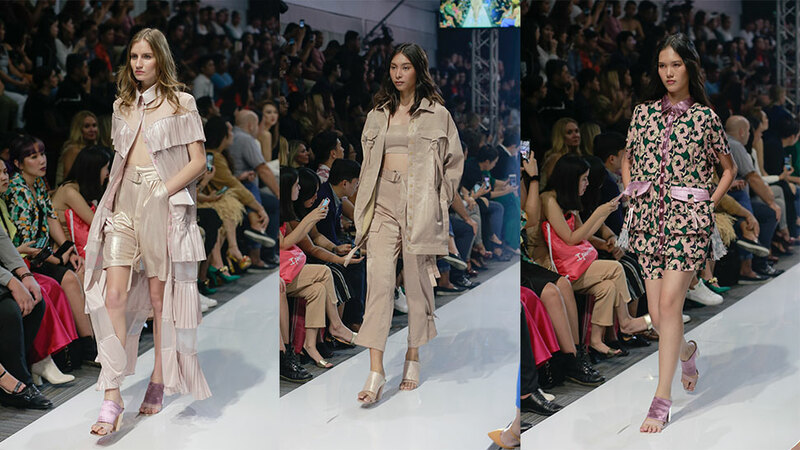 But this project started to make sense to me when I discovered the richness and the quality of craftsmanship the GREAT Women in ASEAN were able to develop,” Christian reveals. 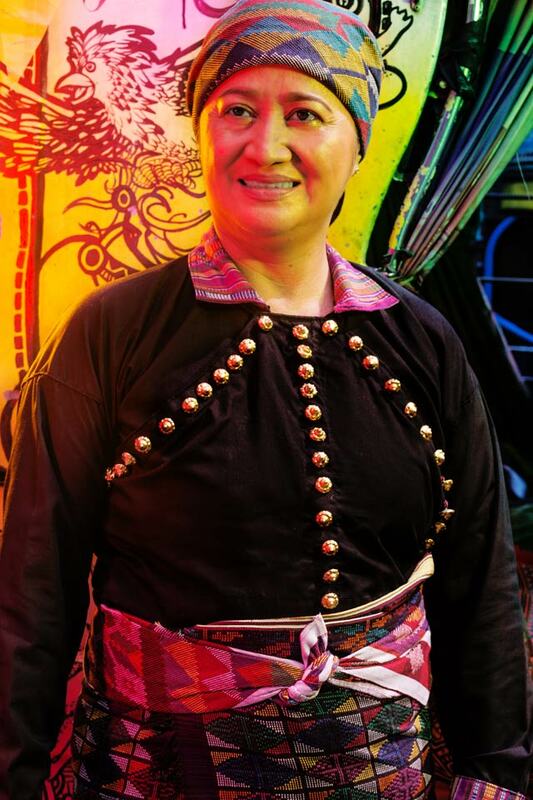 Christian worked with GREAT (Gender Responsive Economic Action for the Transformation of Women) Women in ASEAN initiative, a platform that empowers women entrepreneurs, providing them with training and mentoring programs to help them thrive in their businesses on a global scale. 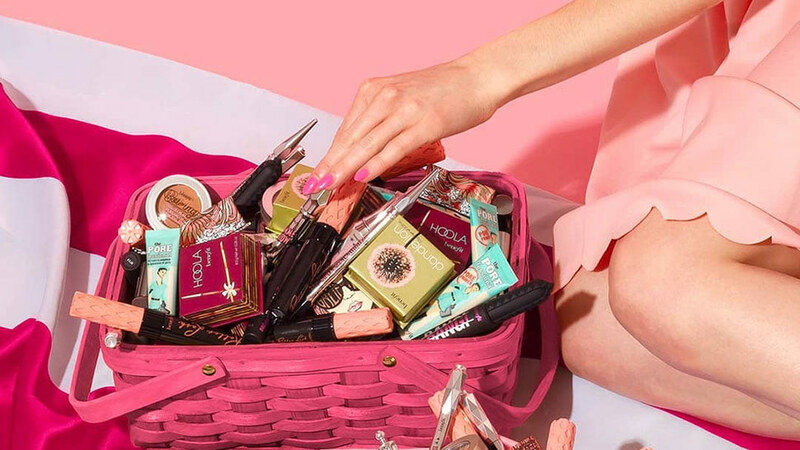 “This collaboration is what you want to wake up every morning for. 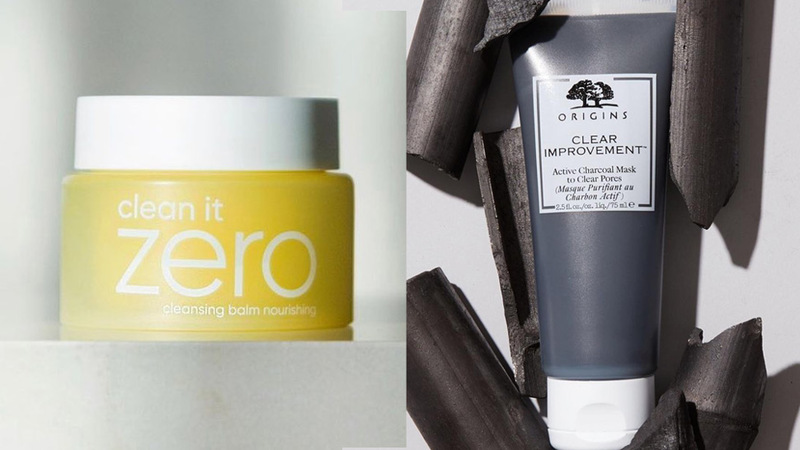 It’s a unique chance to help artisans grow and put their work in the light, the opportunity to create impact,” shares Jeannie Javelosa, co-founder of the GREAT Women in ASEAN. 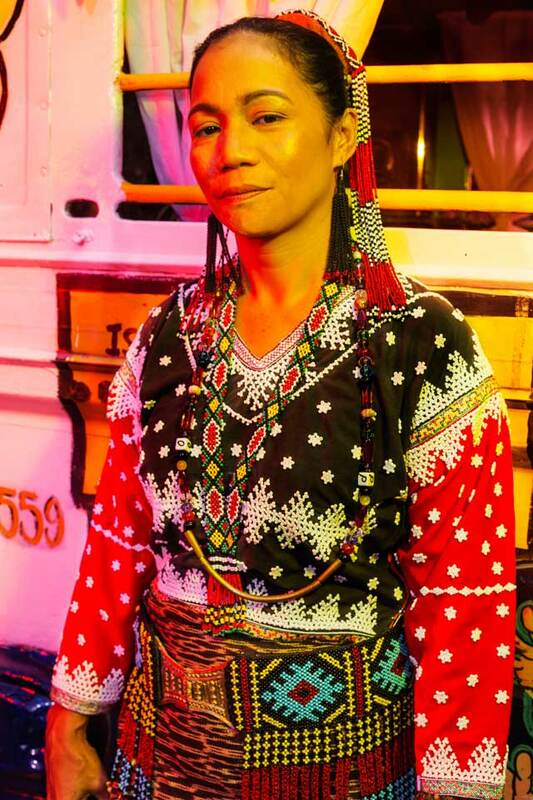 Ana Gloria, the head of special projects of the initiative, recounts the experience: “It all began when GREAT Women received a phone call from Marites Tantoco-Enriquez to help her friend Christian as he wanted to work with Filipino artisan weavers—and they needed to be women." This, however, was right up the alley of the organization, which was perfectly positioned for enabling consolidators and resource contacts. 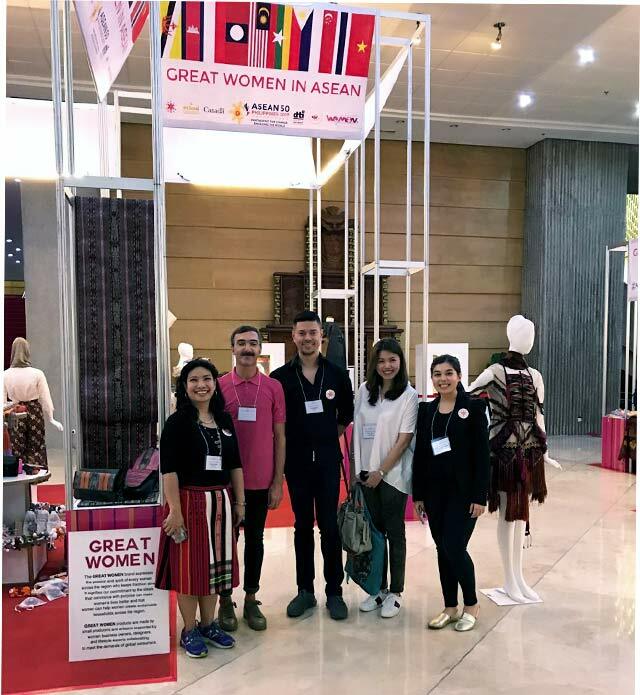 “It was very timely because the GREAT Women was a part of the ASEAN Trade Showcase, which we were running as part of the 50th anniversary of the ASEAN. 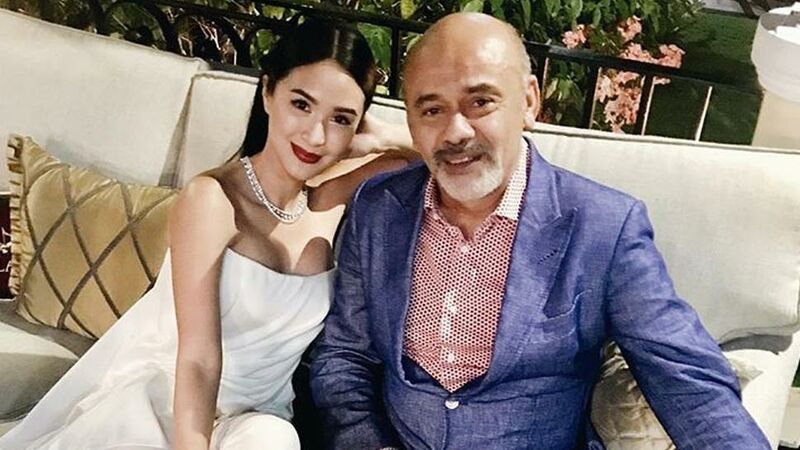 It was ongoing at the Philippine International Convention Center at the time,” Ana recalls. Yannick Flageul, Louboutin’s head designer for handbags and small leather goods, flew in from Paris to check the sources. 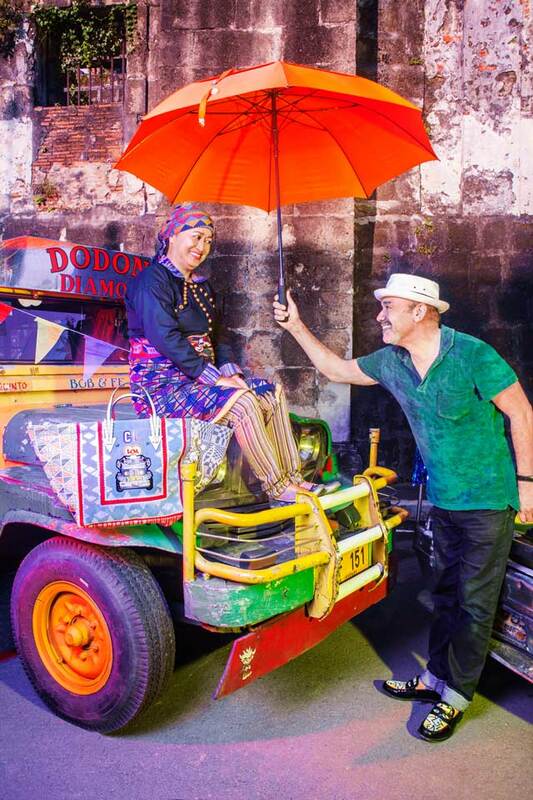 At the trade show, he was presented the textiles from the Luzon, Visayas, and Mindanao islands. 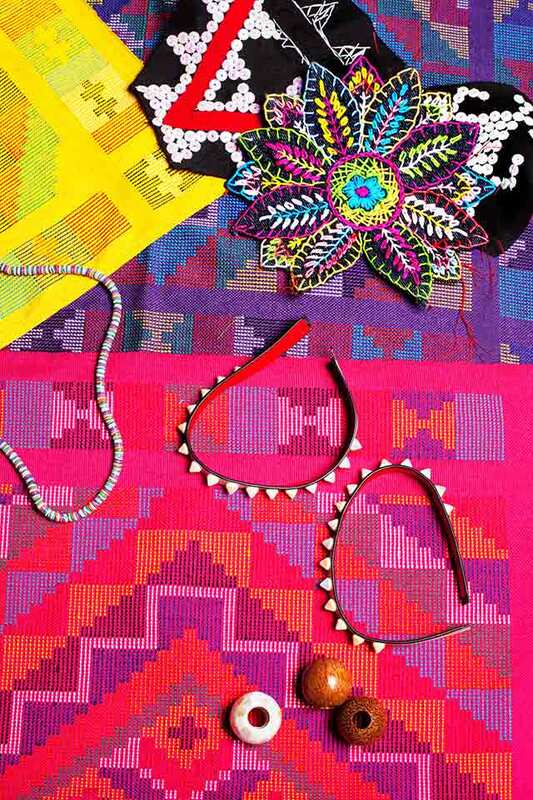 “The hablon textile from Iloilo was laid out alongside the colorful, playful colors of the plaid patadyong. 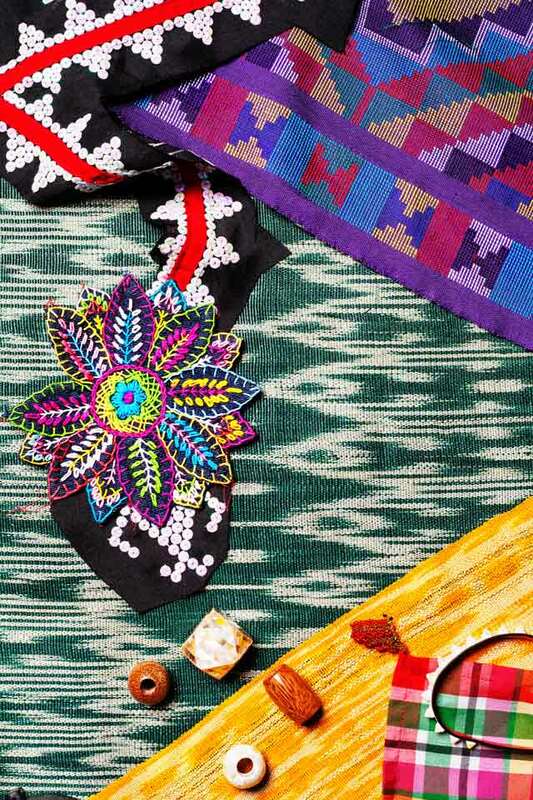 The Yakan and T’boli weaves and fabric from Southern Mindanao, the binakol from Ilocos, and even some macabebe and black lip shells from Cebu were all there! 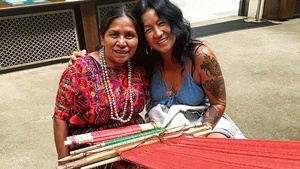 Many of the women weavers responsible for the textiles of the Manilacaba were also present.” Ana reveals. “Like a child in a candy store, he excitedly perused, examined, and stroked every piece he came across. It was a joy to watch him enthuse over each and every item and exclaim over the details of what he saw. ‘Christian would love this!’ or ‘I wish I could bring this all home to show Christian!’ he declared over and over. 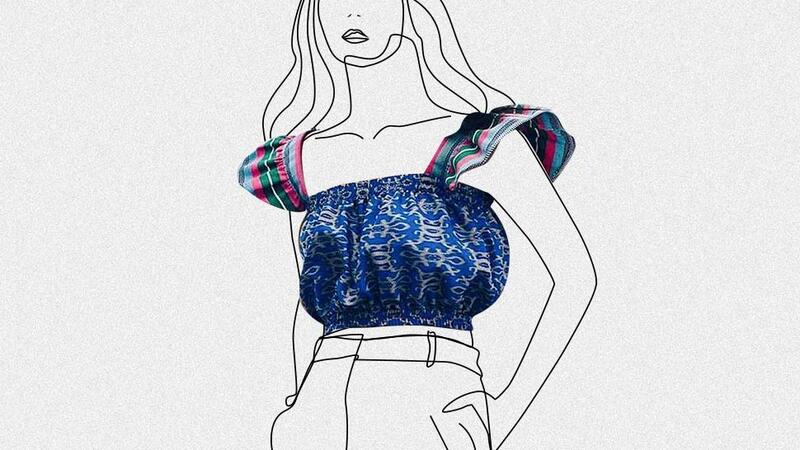 He held fabrics against other fabrics, excitedly mixing and matching, and wanting every possible merger of design. His role was to present to Christian a first grouping of suggested ideas from where Christian would then design the final pieces,” she adds. GREAT Women then accompanied Yannick to meet with the artisans. 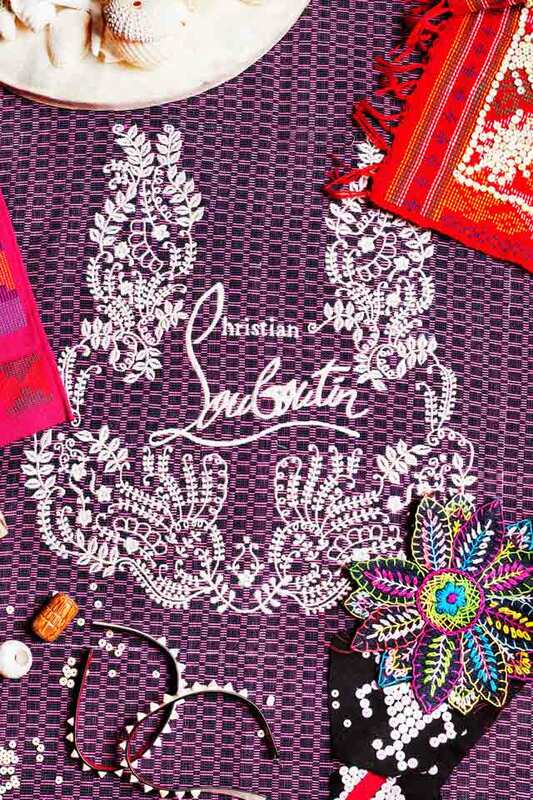 Christian Louboutin himself flew in sometime late last year to complete the project. “His quiet, calm yet charming presence in the showroom took me completely by surprise because after weeks of planning schedules, I had admitted defeat that our paths would not cross. Yet, there he was that morning, caressing the many fabrics and textiles we had on stock in the showroom,” Ana narrates. 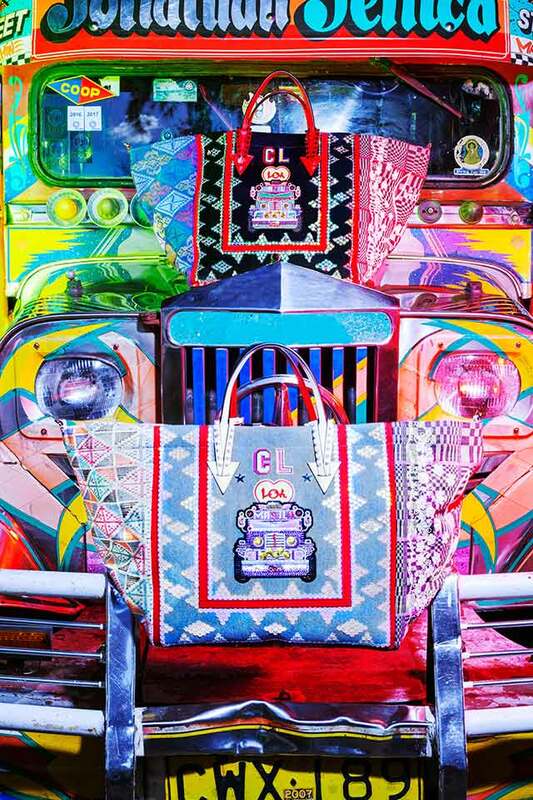 The Manilacaba totes celebrate Manila’s vibrant beat and passionate lifestyle. "Designing the side-panels with Christian was a rich experience. 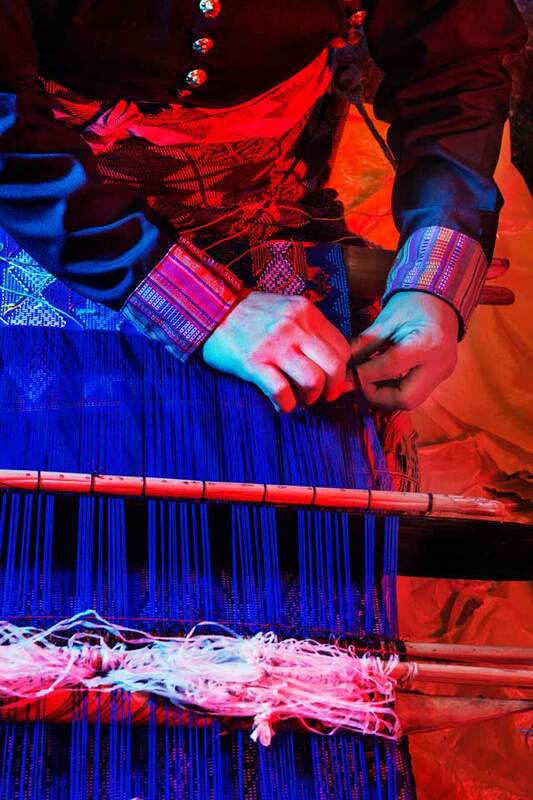 The pattern Christian elaborated for them was new for the artisans who were used to weaving traditional motifs with this technique. But when we saw the encounter of tradition and creativity happen on the fabric, we thought: How interesting, we should have done this before! This is an inspiring story of mutual respect," Jeannie relates. 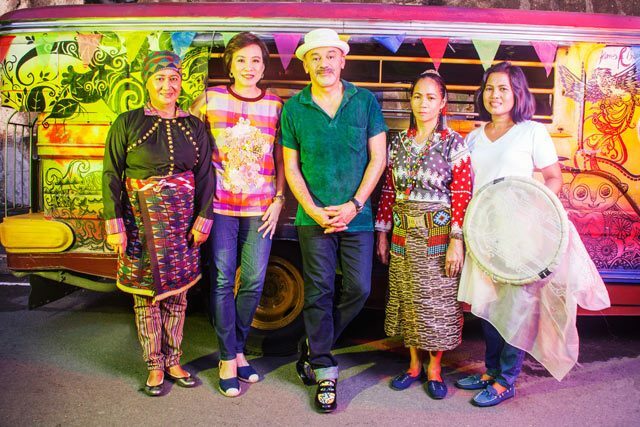 Luzon, Visayas, and Mindanao were all represented in the bag. The right side-panel of the bag made use of the op-art Binakol fabric from Ilocas embroidered with barong florals that Lumban, Quezon specialized in. 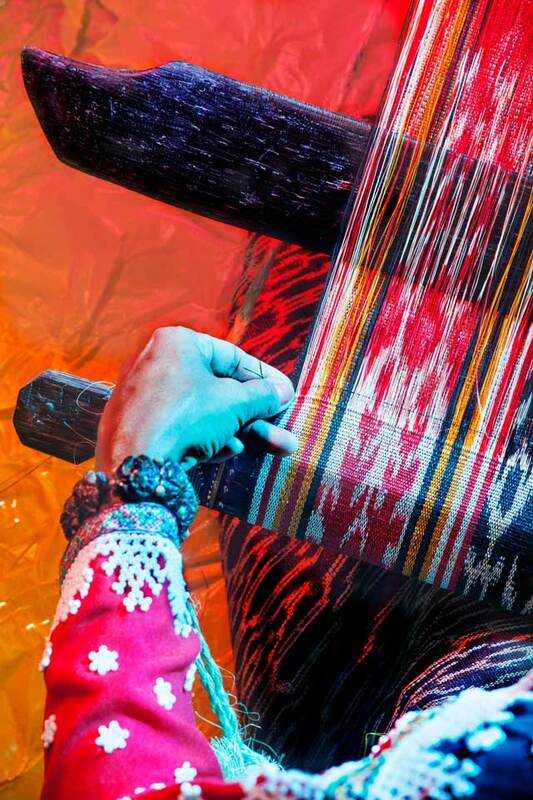 The left-side panel employs the Yakan backstrap loom weaves, while the bottom is made of abaca T'nalak by the B'laan community, both from Mindanao. 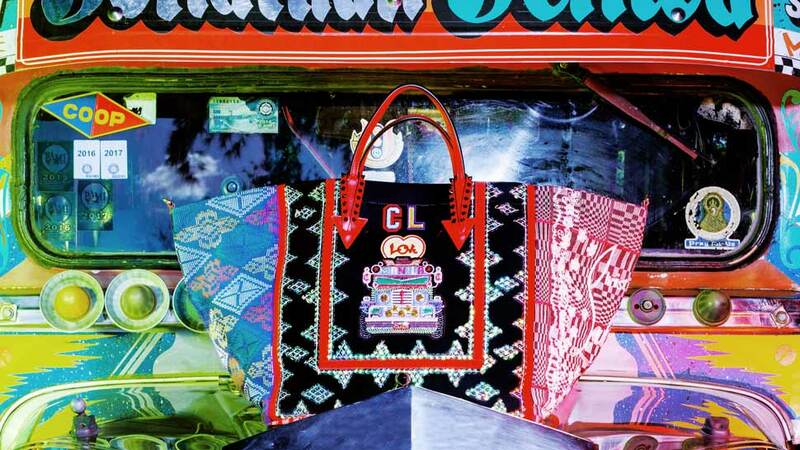 The back panel of the bag shines the spotlight on the Visayas with the patadyong from Iloilo. 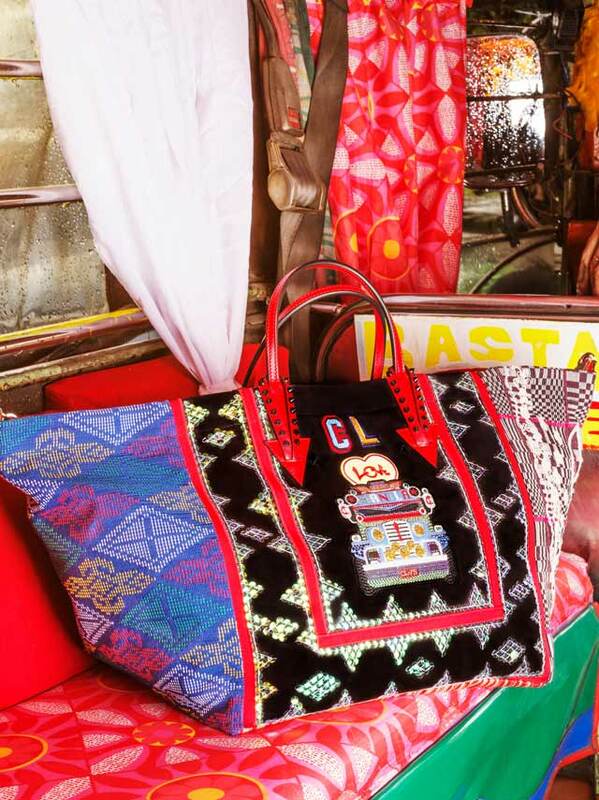 On the front of the bag, sequins and cotton threads are embroidered into a playful pattern that reflects the colorful decorations and shiny additions of the city’s beloved heritage, the jeepney. 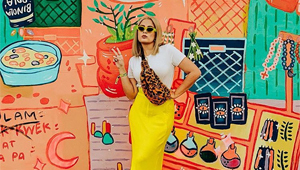 The lining of the bag also bears this means of transport in a zestful print peppered with humor via the “destination” on each. Iridescent sequins are sewn into an eye-catching arrangement around the central red frame, reminiscent of the radiance of Mother-of-Pearl and inspired by the traditional T'Boli garb. The top handles feature Christian Louboutin’s unmistakable signature spikes. "For us, it was not just a job. It was pride of country plus the unique chance to showcase the culture and exquisite craftsmanship our women weavers have. So much more was at stake than a business contract. But we did it. 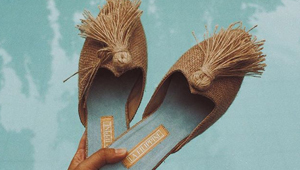 "It is a beginning of a world of discovery for the artisan weavers that there is a market beyond Manila, and for a famous luxury designer, another chance of carrying upward through the supply chain, women at the bottom of the economic pyramid. 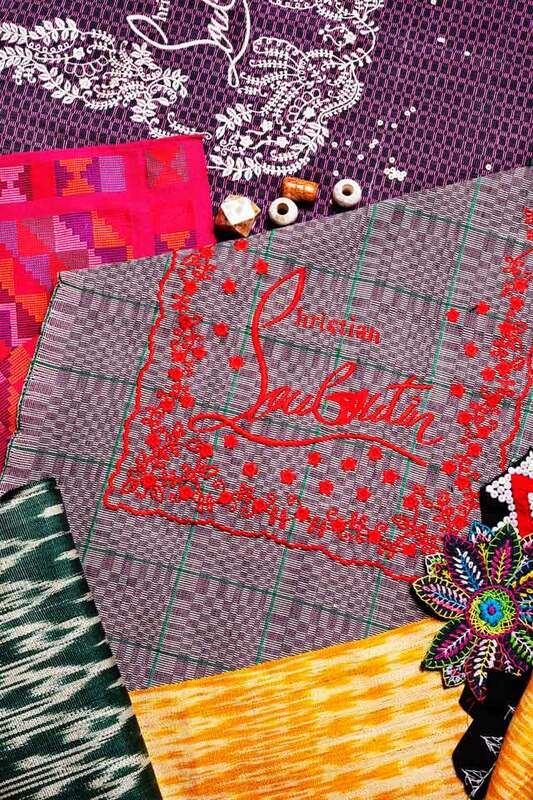 Through the Manilacaba collection, Louboutin makes a statement that echoes loudly well beyond the fashion season," Ana asserts. 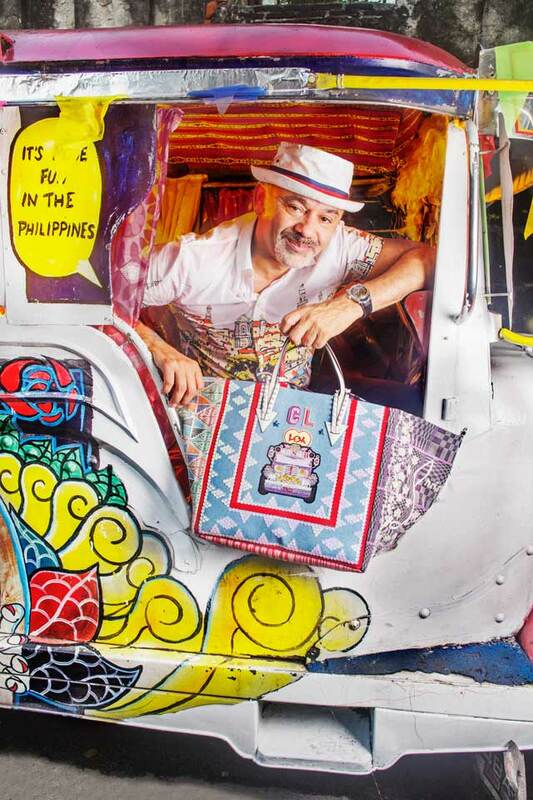 The Manilacaba totes will be available in Rustan’s. It retails for £1265 or around P90,000. 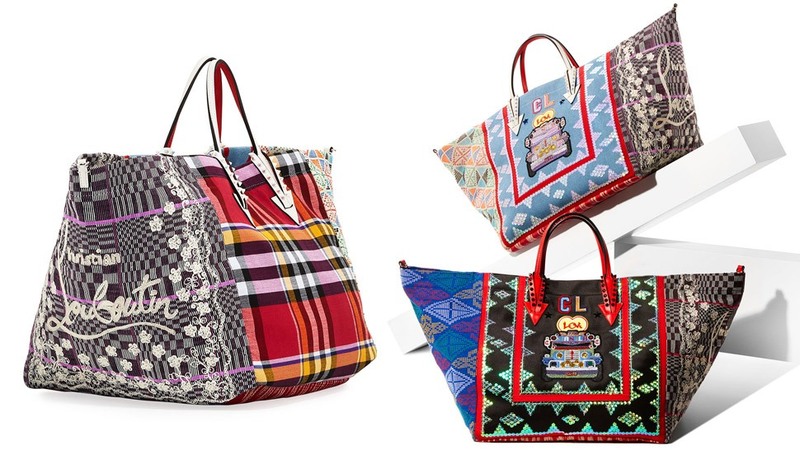 For every bag purchased, 10% will be donated to the initiative to contribute to its development.